The Benefits of a Civil Wedding Ceremony over a Traditional Ceremony. So you want to take the next step and make a lifelong commitment to your partner? A civil marriage celebrant is an alternative to a traditional religious minister to perform your wedding ceremony. Unlike a marriage ceremony in a church, you are free to decide how to go about your wedding. You can choose what your heart desires. The bride could wear a traditional long white wedding dress, an elegant dress, or shorts. The groom could choose anything from a dinner suit to stubbies, always with the permission of the bride, of course! You can choose options that suit your budget and unique personalities. Contact us on 0438 285 588 now!! 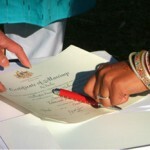 Another advantage of using a civil celebrant is that you can fully customise your marriage ceremony. There is less flexibility in a church wedding. A civil ceremony can be more creative and personalised, to share with your partner and guests. You choose the location: a garden, a castle, on a roof, on board a ship, on the beach – whatever you have dreamed of. You choose what you wear. You choose the words in the ceremony. Ro is willing to travel and has conducted ceremonies in parks and gardens, on beaches, in lounge rooms and private back gardens, as well as more formal settings. Ro handles all the legal aspects, complying with the Marriage Act 1961. Ro has been a celebrant for over 10 years and has officiated at many ceremonies. She has received only positive feedback – see examples in the comments section of this web site. You can book her with confidence for your special day. 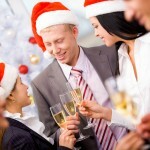 Know more about Small weddings in Melbourne and Wedding celebrants in Richmond.